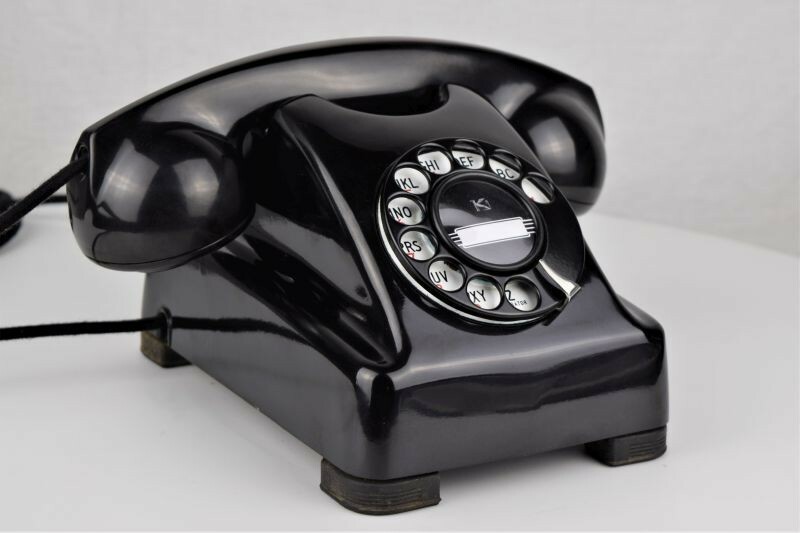 This wonderful working example of 1940s design is sure to fit into your period decorating scheme. 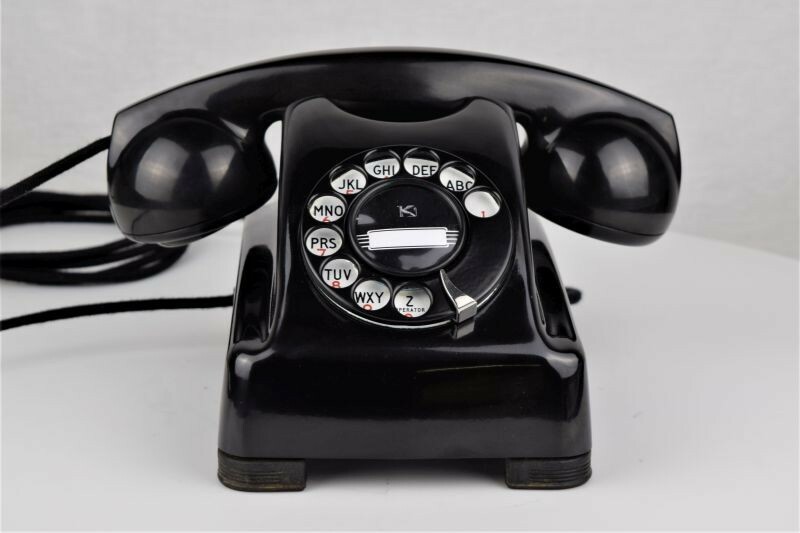 What I love most about this phone is the great RRRING that will be sure to get the attention of everyone in your household! 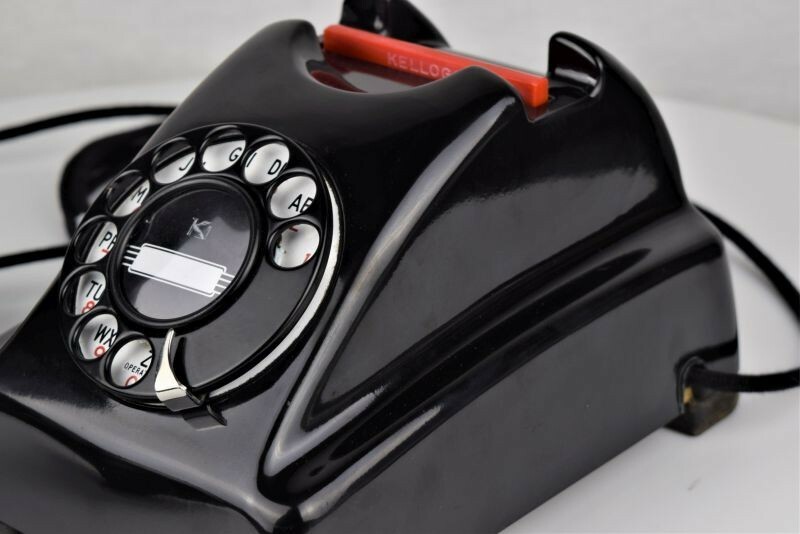 The case of this phone is the Bakelite version and the handset is made from Bakelite. 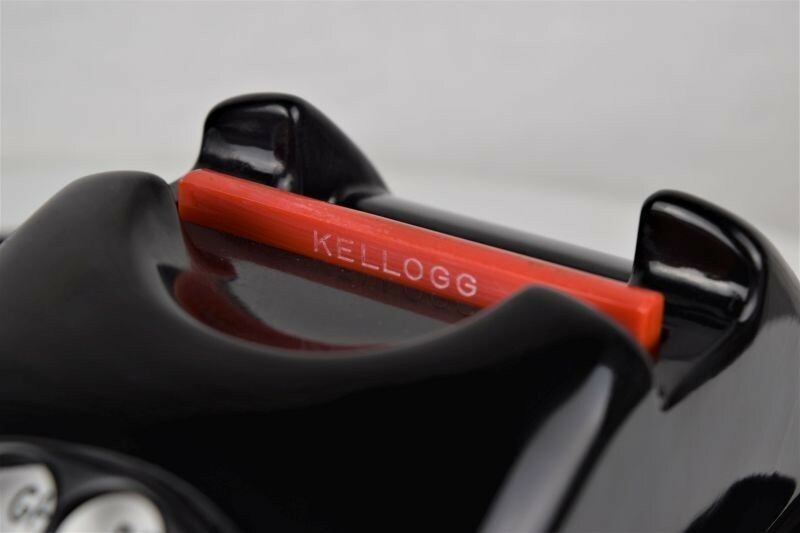 The design was a significan't improvement over earlier Kellogg models in that the interior space was much more efficiently used, thereby eliminating the tangle of wires that was often present. 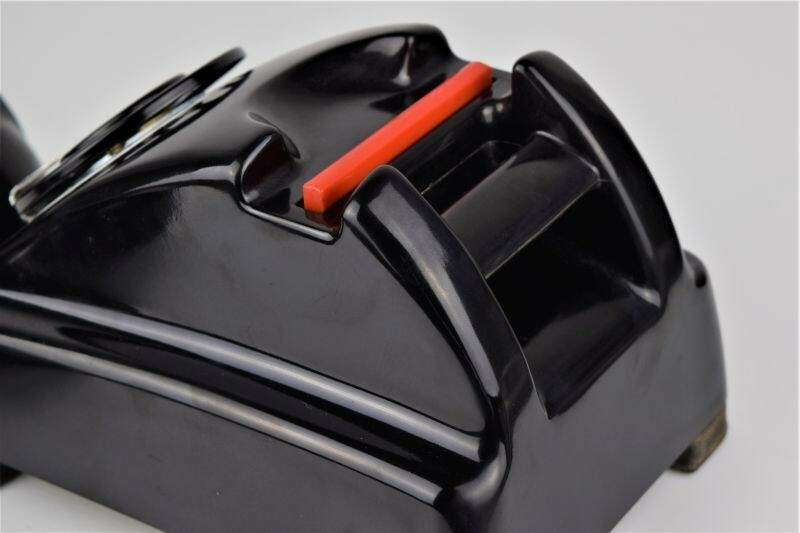 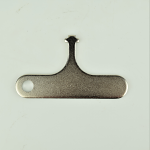 This was accomplished through the use of a moulded one piece connecting block that was quite unique to the telephone industry at the time. 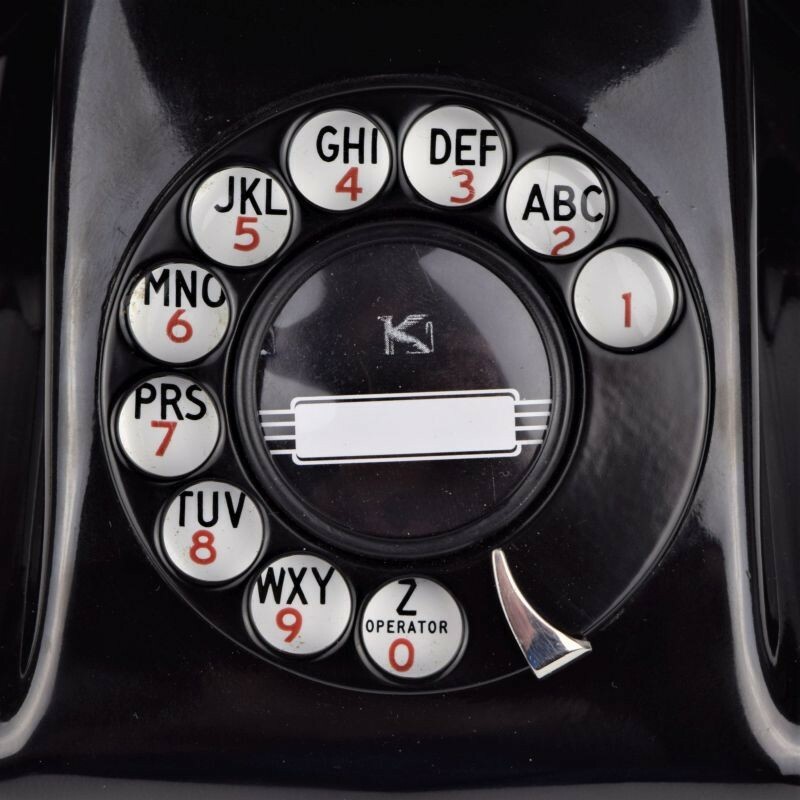 The telephone components (capacitor and coil) plugged into the connecting block and were field changeable -- thereby allowing the phone to be easily converted between local battery, and common battery service.This Kellogg Masterphone 1000 Deskphone gets it's familiar name "Redbar" from the red bar that is used to operate the hookswitch. 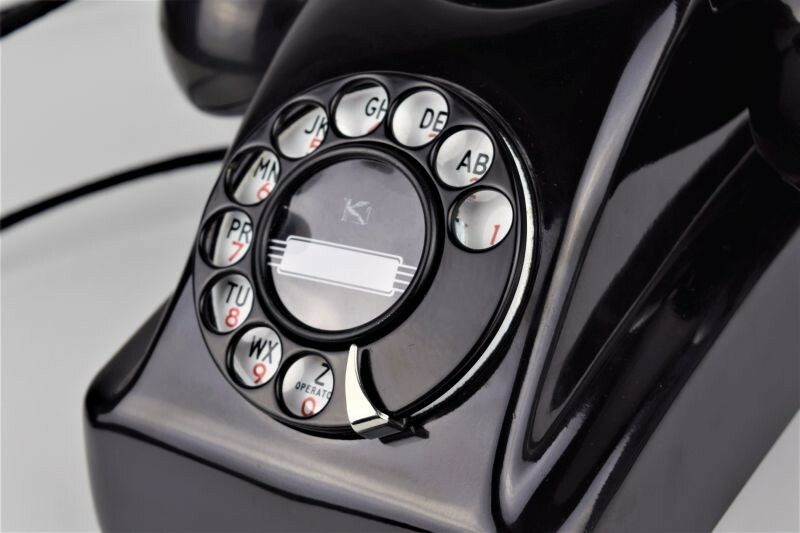 This model was manufactured from 1947-1953 and it was a the first phone made by Kellogg that had interchangeable parts for the dial and non-dial models. 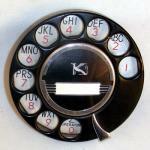 Kellogg manufactured the Model 1000 in two additional styles: a wall phone, and a desk phone with a magneto in the base. 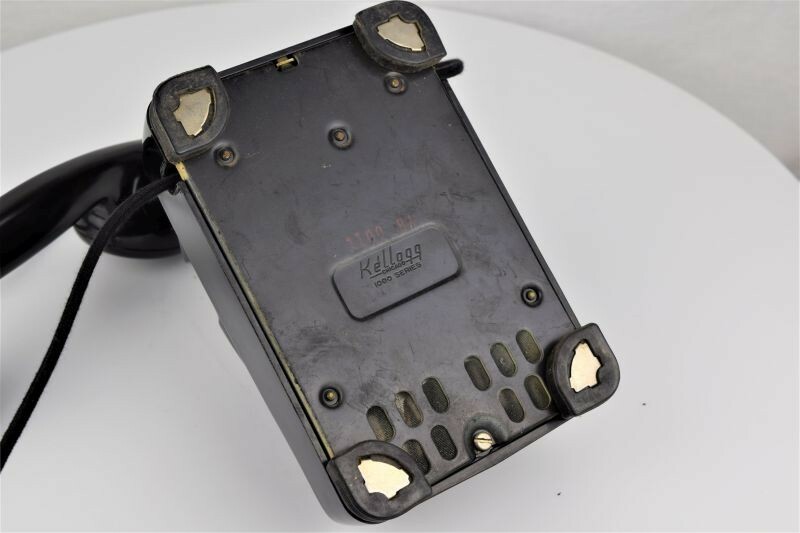 This "Redbar" dates from the late 1940s or early 1950s and it has an alphanumeric dial plate that shows virtually no wear. 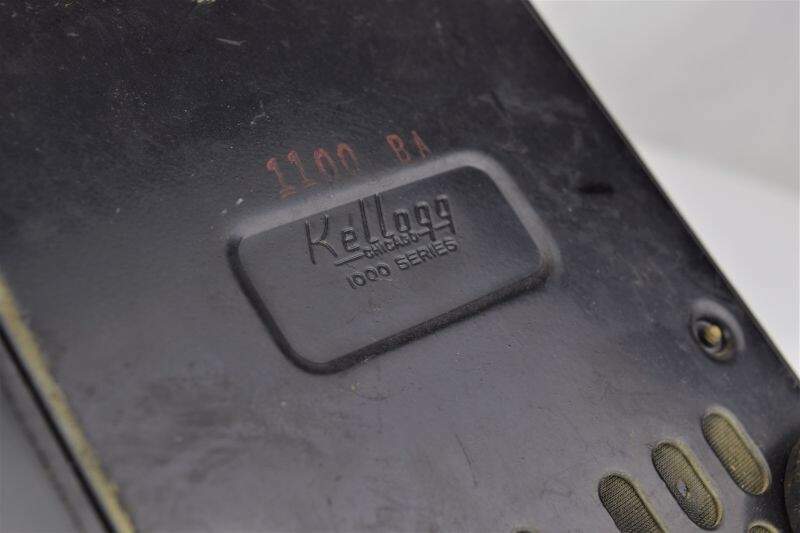 The dial has been cleaned, lubricated and calibrated to ensure years of troublefree service. 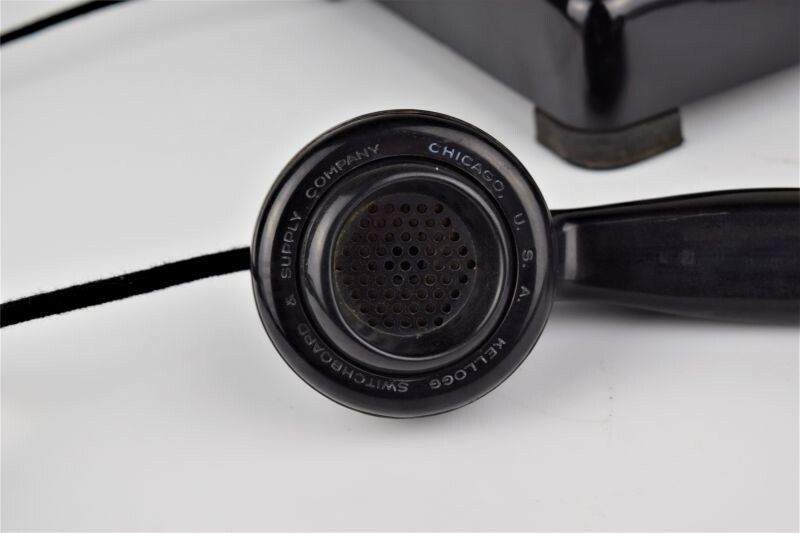 The phone has been completely disassembled, carefully cleaned, and then expertly refinished to restore its original high gloss finish. 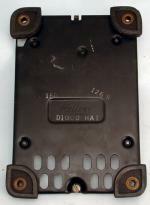 The electrical components have all been carefully tested to ensure full functionality. 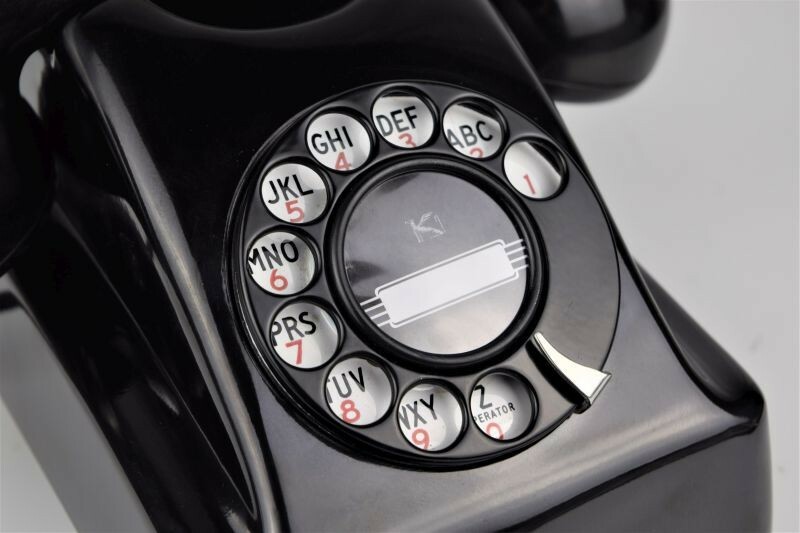 The handset has been fully tested to ensure that you will have static free conversations. 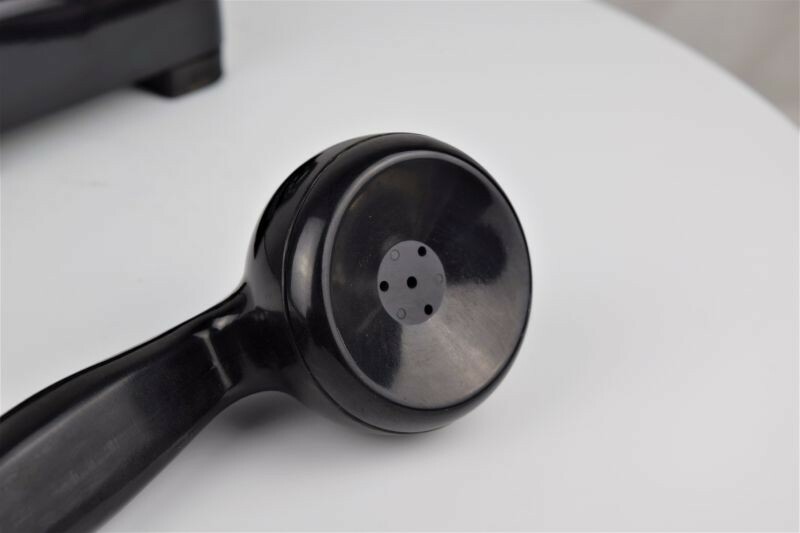 As a finishing touch, a new black modular line cord and cloth coverd handset cord has been added to this classic. 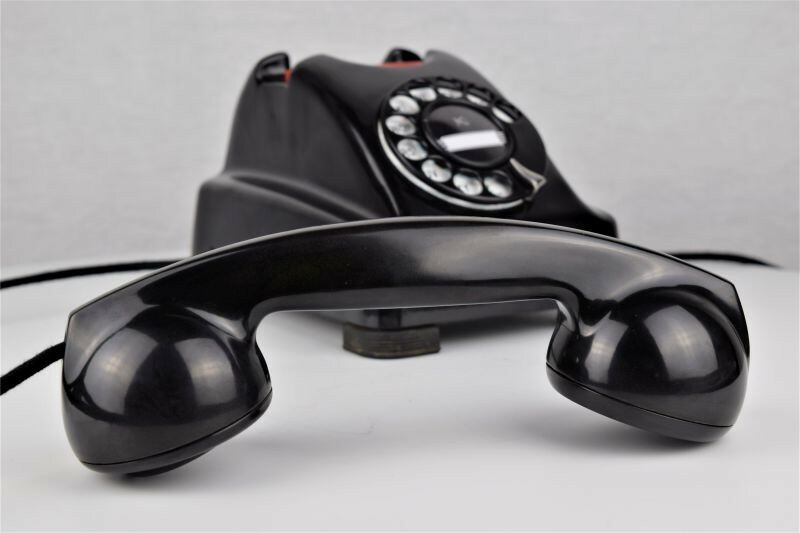 Finally the phone has been fully tested on modern phone lines to ensure that it will function properly both now, and in the years to come.